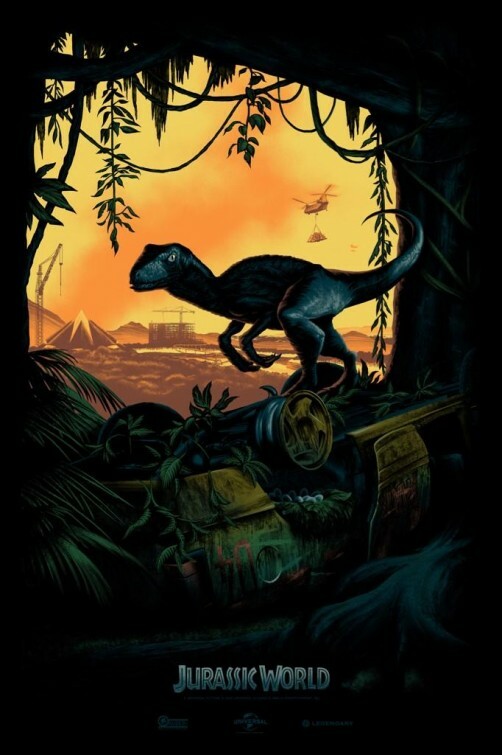 The world is a different place than it was twenty two years ago when the original "Jurassic Park" stormed onto screens, made CGI the standard by which special effects would be measured from then on, and crowned the king of Hollywood with his greatest commercial success the same year he achieved his greatest artistic success with "Schindler's List". Spielberg's dinosaur movie was the start of freeing our imaginations with digital images and the story was fresh. Here we are all those years later, and everyone knows that the dinosaurs are going to be spectacular, and the setting is going to be lush and the action intense. Even if it is the first time you see any of the Jurassic Park films, "Jurassic World" can never repeat the magic of that 1993 event picture. 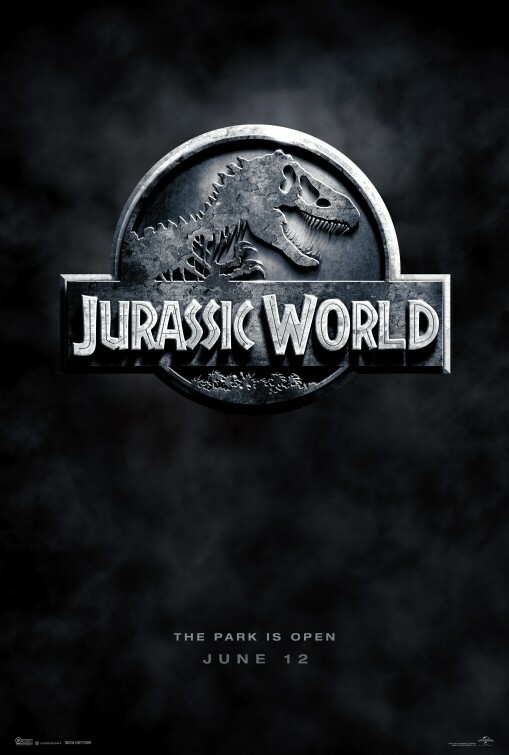 Having said that, and giving anybody with bloated expectations a way to let a little air out of the bubble, "Jurassic World" is a terrific summer film that should fill the pockets of everyone involved because it does exactly what the times call for. It entertains us with spectacle, danger and action. There is one important element missing from this film that was much more abundant in it's three precursors, humor. Other than that, you will have a great time at the movies as long as you are not really expecting a science lesson. The park has been open for a while now. It is still unclear to me after the events of "The Lost World: Jurassic Park", how "i-gen", the company founded by John Hammond can still exist. They must have had their assets sold off to pay for the lawsuits that would have followed the company after the T-Rex eats half of San Diego. They could not even afford security to keep people off of site B in the third Jurassic Park film. That is all just nit picking however, the point of this movie is to give us something to marvel at and be frightened of. The real monsters continue to be the scientists who play with genetic power and don't consider the consequences. These films must have inspired a lot of the Monsanto hate out there, because the researchers come across as indifferent to the work they are doing and it's consequence, they simply see it as something to exploit. B.D. Wong as Dr. Henry Wu is older but not wiser, making all new mistakes with the current endeavor. Vincent D'Onofrio has the Paul Reiser role as a corporate hack who has visions of defense contracts dancing through his head. It's Bryce Dallas-Howard who ultimately has to redeem herself as a cold fish of an executive, looking at marketing before she considers the ethical and responsible things to do. She does get to the point where we do root for her, but in the beginning, she is as guilty as anyone for what happens. If you were worried that the velociraptors of the early films had turned into trained house pets, be assured that is not the case. Chris Pratt, channeling Harrison Ford, is working with the deadly pack hunters, but the story is much more realistic than the trailer would lead you to believe. He needed to have more of "Star Lords" one liners and facial ticks, to make the movie sing more. The fault is not in the performance but the script. Jeff Goldblum owned the first two movies with his sardonic sense of humor and his well timed jabs at the corporation and scientific processes. Pratt only gets one or two moments to show off his comic chops, and then once the story takes off, there are no moments of levity at all. There are several thrill moments in the film, but nothing to match that T-Rex attack from "Jurassic Park". The sequence with the gyroglobes is meant to stand in for the attack on the jeep in the first film, and it does have a few great elements to it, but it is not as sustained as that first brilliant sequence that Spielberg used all of his skills to put together. Director Colin Trevorrow copies the master but can't quite match the terror achieved in that sequence. His strongest effort is in the final fight sequence which does manage to use the characters , both real and digital, to their best effect. Composer Michael Giacchino has done a good job in building a soundtrack for the movie but his work will always be overshadowed here by the theme from the first film, composed by John Williams. That motif is repeated in several sections and at the end of the picture it is as if Williams himself did the score for this. It may be an unfair thing for me to say, but it was the way I felt about it. The movie succeeds in creating a monster to chase the characters that really is scary. The park looks fantastic and reasonably crowed, at least until the climax. I would want to do several of the rides and attractions we saw in the build up. Kayaking with dinosaurs, riding a Triceratops, or traveling by monorail through a forest are all attractions that would made me want to go through the turnstile. Some times the themes get a little big for the movie. Asset management and investment are certainly important, but a guy who manages to make it to being the eighth richest man on the planet can surely see that losing a $26 million project is small potatoes next to the disaster staring him in the face. Of course if people did not make some stupid choices, there would be no movie for us to thrill to, so ignore some of the improbable s, and sit back for what will surely be the thrill ride of the summer.